Back from PAX East and catching up on sleep. Jo and I have recaps coming soon for those who weren’t able to attend in person. In the meantime, get your game fix with this week’s round up. Finally, hope for those who have been waiting since November for the next chapter. It does look mighty fun and the release date is set for March 17. Why yes, Amazon Game Studios is part of Amazon.com. It seems like the studio was originally founded to make games for Amazon devices, like the Kindle Fire, is expanding to other platforms with four games, Lost Within, Til Morning’s Light, To-Fu Fury, and Tales From Deep Space. The games offer a range of styles, characters, and game play from a teenage girl solving puzzles to escape a haunted mansion, a first person escape from the abandoned asylum, a fun quirky space exploration game and a street fighter-esque game where you play as a samurai piece of tofu. Lebanese game developer Reine Abbas talks about the imbalance in women in Lebanon’s tech industry, how certain behaviors can limit girls, and motherhood while working in games. Lionsgate has acquired the rights and has Dan Lin, one of The Lego Movie producers, on board. 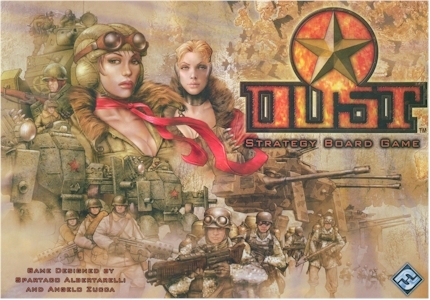 I admit, I haven’t played Dust, an alternate history WWII miniatures game. The game does have a big enough following to host its own convention, the Dust World Expo. Offworld was announced last week Gamasutra editor Leigh Alexander at a moving #1ReasonToBe panel last week at GDC. The site, partnered with Boing Boing, was rebooted and launched on Monday and in typical Boing Boing style is mostly composed of short posts, including older posts dated pre-launch, but rebranded as Offworld. Initial buzz from in my gamer circles has been cautious optimism, so I’ll follow along and see what develops.